Unanswered questions, intractable situations often appear to stand in the way of living from our deepest intentions. At times we might feel blocked even from knowing what our true priorities are. During this weekend of sitting and walking meditation, we will have the opportunity to practice opening our hearts to our unresolved inner dilemmas. These questions contain a rich source of insight; learning to live with them brings about a radical shift that opens the door to clarity and equanimity. Cost is $150 and includes all meals and lodging. Teacher dana is separate. 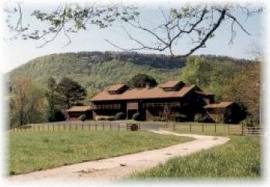 The retreat will include periods of sitting and walking meditation, dharma talks, optional meetings with the teacher, practice instructions and Q&A. Please go to this link for additional details and registration. This entry was posted in Retreats and Events and tagged 2014, buddhism, Cultivating Clarity Through Living the Questions, Fall Retreat, Georgia, Lisa Ernst, Meditation, meditation retreat, North Georgia, Red Clay Sangha, Residential Retreat, Vipassana, Zen by Lyn. Bookmark the permalink.